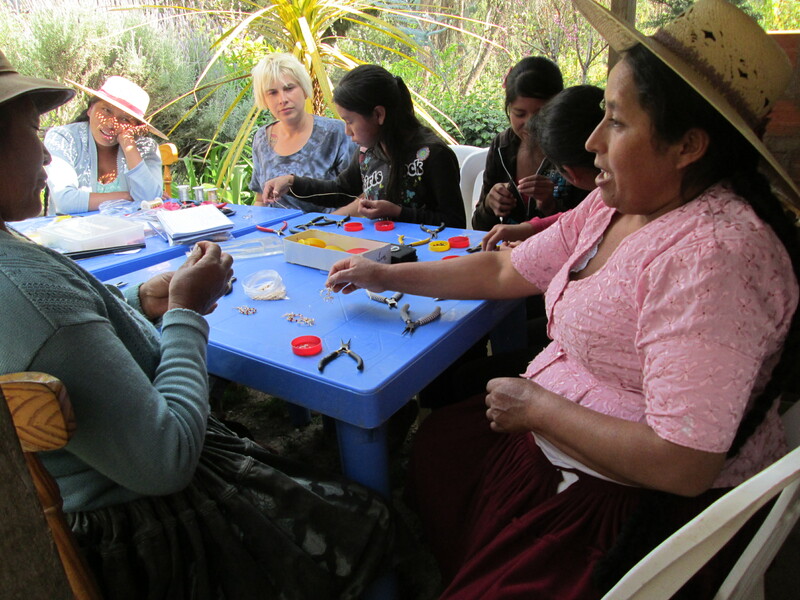 The Club de Artesanas (CdA) activity focus in September was learning new jewelry making techniques. 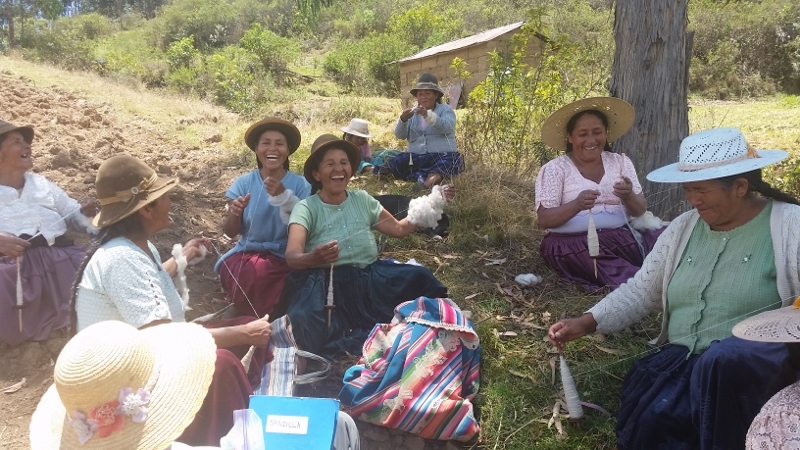 Amanda Smiles, founder of Ruraq Maki, made her annual 4 day journey to Independencia from Ayacucho Peru where Ruraq Maki (RM) offers craft training workshops to incarcerated women in the Yanamilla Prison. 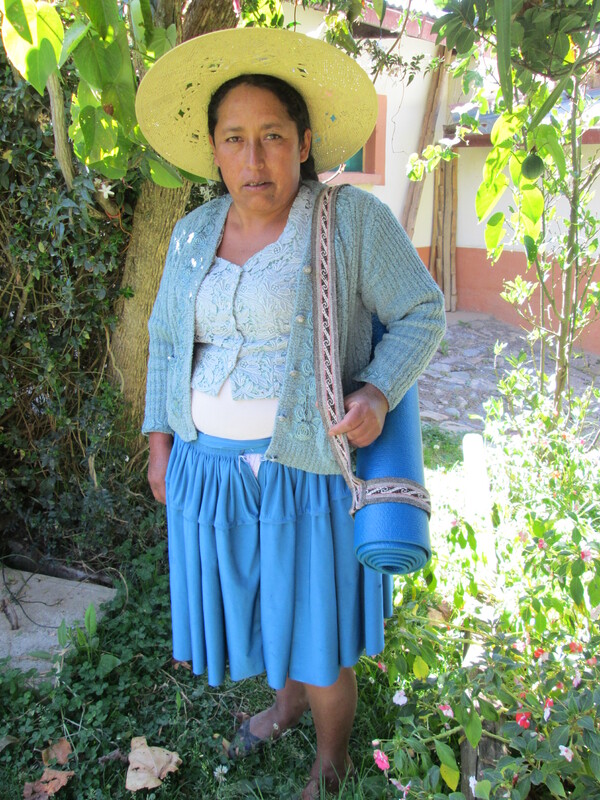 It was her 4th year teaching wire jewelry making techniques and working with Doña Máxima as the local trainer. The 4 new chicas in the Club had looked forward to Amanda’s arrival with increasing anticipation. The earrings they´d not sold at the Harvest Fair last May were reviewed and praised by Amanda. She showed all the jewelry makers how to correct a few minor flaws in their workmanship. Ruraq Maki has helped with the product design of the traditional weavings over the past 5 years. The yoga mat straps were Amanda´s idea during a brainstorming session in 2012. The yoga mat straps and zippered cosmetic bags began being assembled in-house last year thanks to the industrial sewing machine funded by Ruraq Maki. Additional training is needed to tackle the larger lined fashion bags. PAZA is searching for a Quechua speaking sewing instructor to teach a series of short intensive workshops in Independencia. PAZA needs help to get the yoga mat straps into the hands of yoga practitioners. 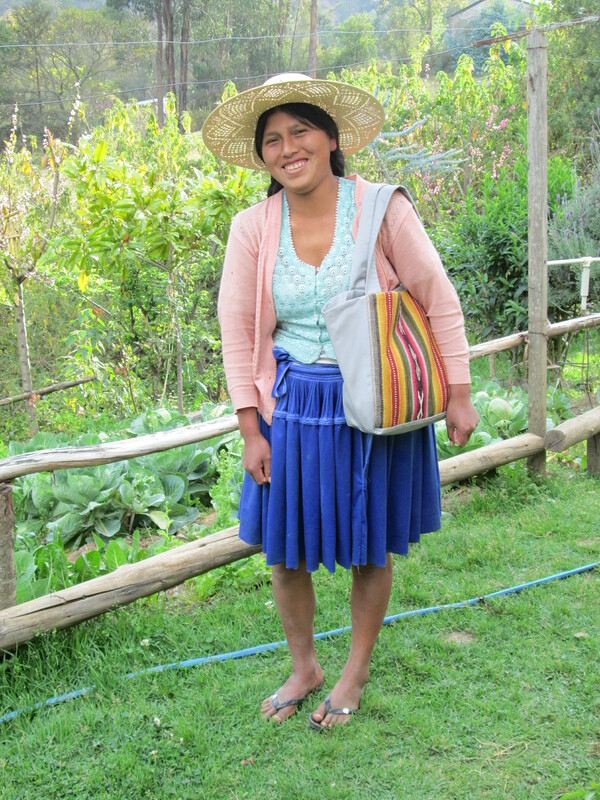 The hope is that a climb in sales will allow PAZA to get the word out encouraging more weavers to weave and teens to learn to weave. 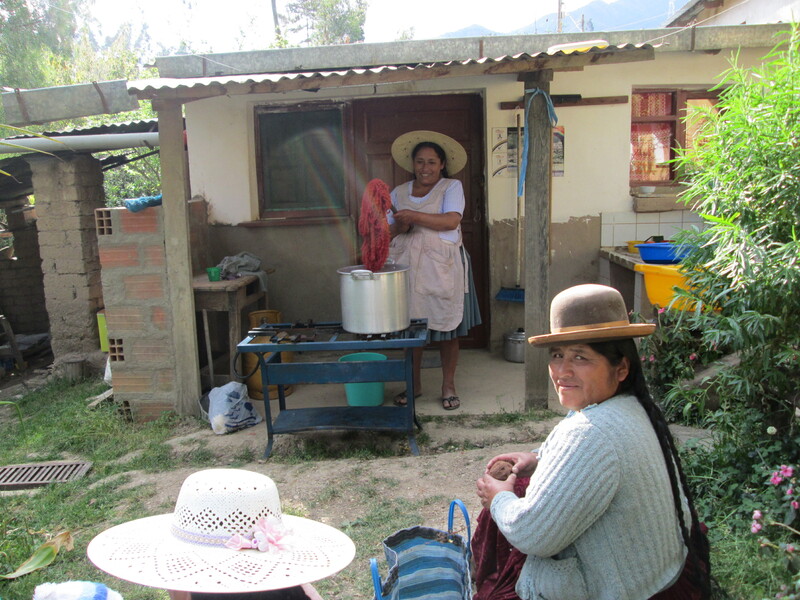 Doña Juana, the newest CdA member, was introduced to the magic of cochineal during a Club dye day. She´s already sold her first weaving, a yoga mat strap, to Ruraq Maki. She lacks natural dyed yarn for the weavings PAZA sells, so had handspun enough wool for 8 skeins to take advantage of PAZA´s upcoming dye days. 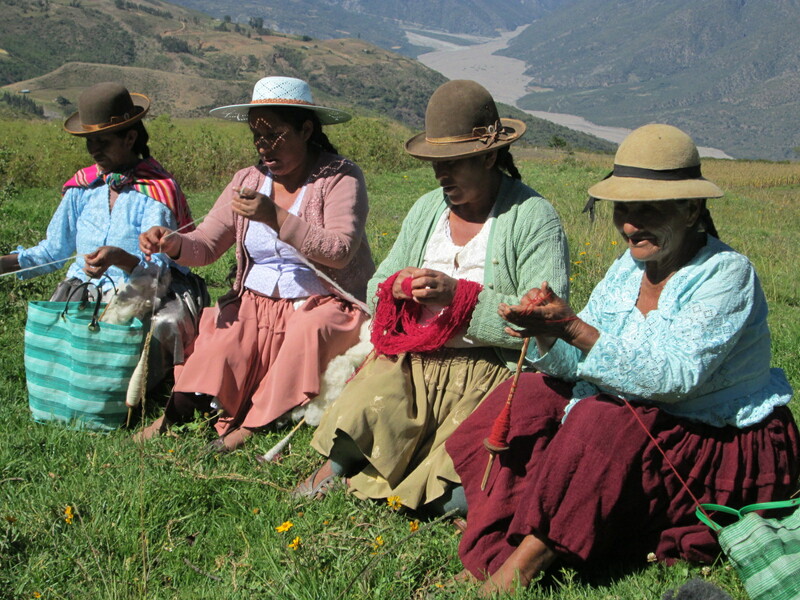 A few of the Huancarani weavers had sent skeins to the CdA for dyeing. All requested an orange dye, which was easily done with the addition of citric acid to a cochineal dye bath. The cochineal PAZA uses was purchased from Potosí Bolivia through PAZA´s natural dye trainer. He had the cochineal lab tested and the highland Potosí cochineal had a higher carminic acid percentage than the cochineal from Cochabamba (local). PAZA´s first purchase of cochineal in 2009 cost $14.50 a kilo, and luckily the 5 kilos purchased held out through the rise in pricing to $86.50 a kilo in 2010. When the next purchase was needed the price had dropped to $36 a kilo. Rumor had it the spike in pricing was due to the demand of the food and drug industry for an organic colorant. Perhaps the demand diminished when consumers discovered the organic colorant was a bug, or they may have found the distinctive odor off-putting. 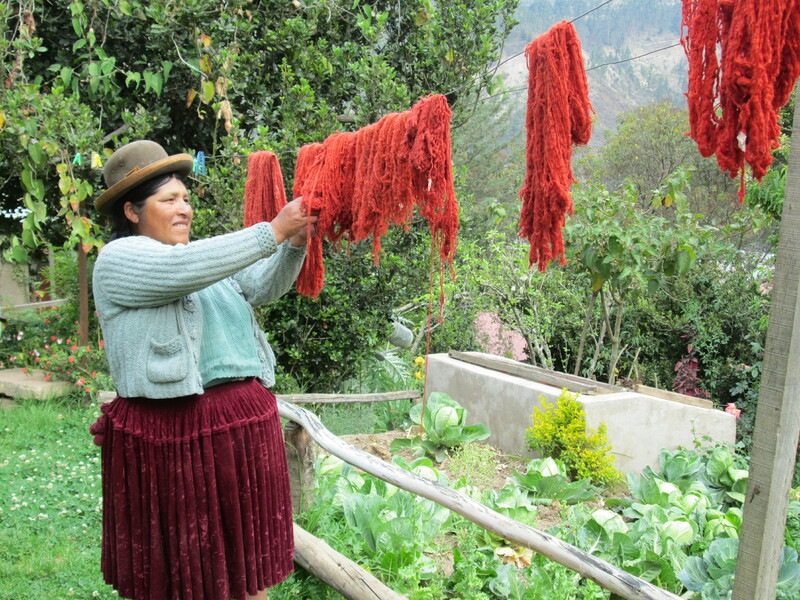 Club member, Doña Beatris, who spends the majority of her time in her rural community of Sanipaya, was able to participate in the dye day. She sells weavings to PAZA regularly and is doing a great job in organizing the 8 spinners in Sanipaya who will be competing in the Spinzilla spinning competition. Six of the spinners are entering for the first time and will have a better understanding of the competition after spinning week. 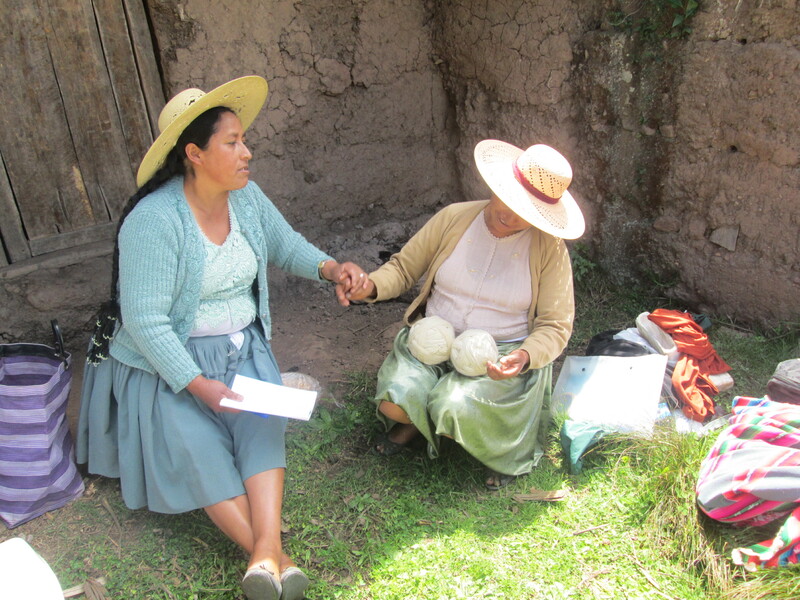 Doña Máxima will visit to measure the yardage of spun wool and resolve the lingering doubts of why it costs the spinners $2.15 each to participate. Please consider donating to support the Spinzilla Team Cloth Roads/Warmis Phuskadoras so the event doesn´t financially impact the other PAZA activities. The soap making project began anew. The 3rd recipe for basic soap was made using a new recipe that includes cocoa butter and vegetable oil along with the rendered tallow that was the only fat used in previous batches. The cocoa butter was purchased in the U.S., although an effort will be made to find a Bolivian source since cocoa is harvested in the Amazon area of the country. Although coconut trees grow in Bolivia, coconut oil is outrageously expensive, so it´s possible there is no processing done in Bolivia. Such possibility, such poverty, ah, Bolivia….